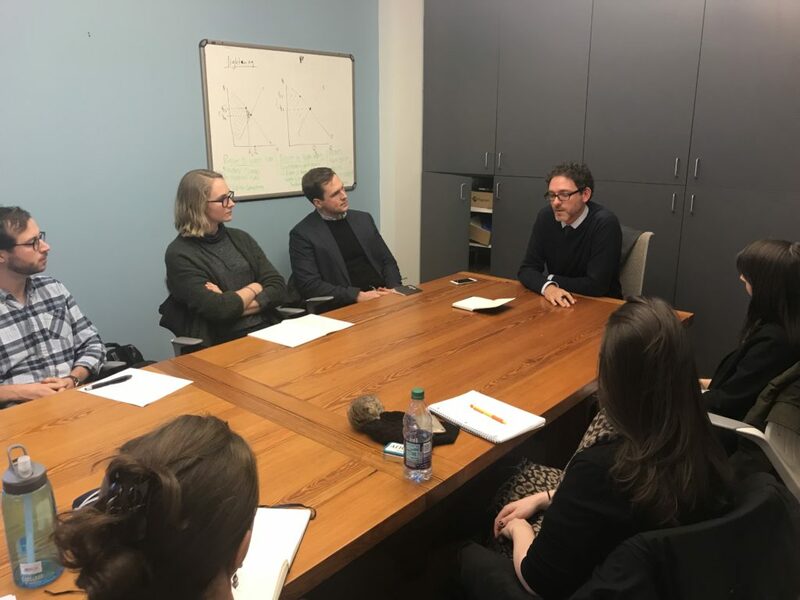 On January 30, the Reiss Center on Law and Security and the National Security Law Society hosted Dr. Alexander Bick, Research Scholar at the Henry A. Kissinger Center for Global Affairs at Johns Hopkins SAIS. Bick is the former Director for Syria at the National Security Council in the Obama Administration and a former member of the Secretary of State’s Policy Planning Staff. In an illuminating discussion with NYU Law students, Bick addressed the intersection of the law and national security in the case of Syria. He discussed the recent announcement by the Trump Administration of its plans to withdraw U.S. forces from Syria, highlighting both the regional implications and the importance of a disciplined process in national security decision-making. Drawing on his wealth of experience, he offered his insight on future implications for the Kurds, Iran, and the Islamic State; the potential for a U.S. withdrawal to exacerbate jockeying between Turkey and Russia; and likely challenges for resolving the war. Bick, who has a PhD in history, spoke about his own experience working alongside government lawyers and senior policymakers with legal backgrounds. He emphasized that input from smart and rigorous lawyers can be extremely helpful in framing problems and is indispensable in policy discussions concerning government authorities or decisions regarding the use of force. At the same time, he cautioned that other perspectives, such as that provided by the study of history, are critical to creating sound national security policy.